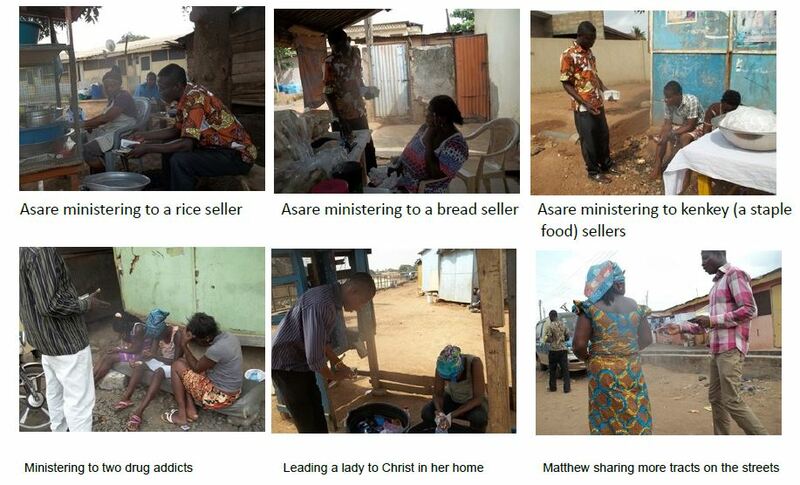 On the 29th day of January 2014, the outreach team led by Pastor Asare paid a visit to Kotobabi a suburb of Accra, in evangelistic activities. The team spoke to twenty-five (25) people out of which twelve (12) gave their lives to Christ. One hundred (100) tracts were also distributed to the people who came by their way. A young Nigerian pregnant lady requested a prayer from them after receiving Christ which they did. She was having sleepless nights all because she was afraid of delivery. She was released from that fear after prayer. that day we could not continue from there. One man by name Kwadwo Yeboah was surprised on seeing us for at his word he was on that faithful day he was thinking of how he could get in Christ. Tracts were distributed while witnessing to people. 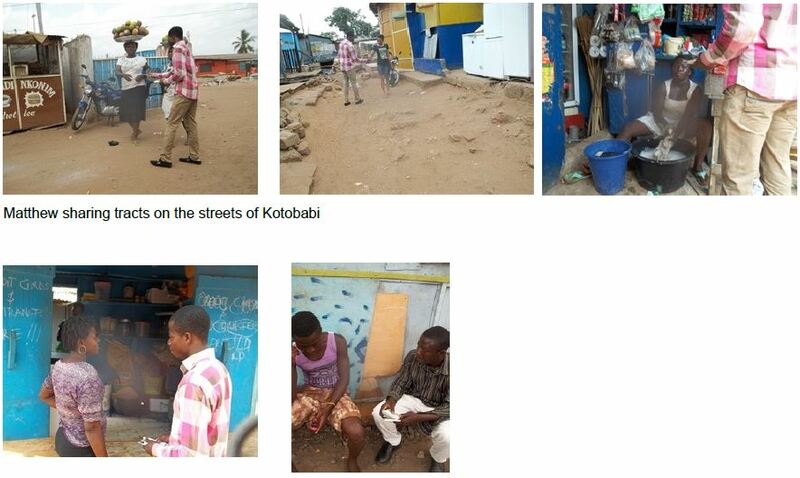 Below are photos of the outreach.